This well-liked pack trip begins on Friday morning and concludes Sunday afternoon. This horseback vacation is popular for those that live nearby and are looking for a relaxing extended weekend away form the hustle and stresses of work and town. Early Friday morning we meet at the trailhead in the Big Cimarron Valley. Then we pack your gear on mules and get you acquainted with a mount for the weekend. We pack deep into the Uncompahgre Wilderness, following the East Fork tributary of the Cimarron River to near timberline. Camp is set in a stunning meadow, just above the historic Silver Jack Mine site, with cascading waterfalls at each end. Upon arrival, we unpack and unsaddle the riding and pack animals then turn them out to graze for the evening. After a long ride it feels good to get out and stretch your legs and take in the truly amazing surroundings. While you unpack, and settle in, dinner is being prepared. Friday night is always steak night. While waiting for the potatoes to bake in the red embers of the fire, you will find yourself down at the creek exploring and marveling at the waterfalls. Don’t venture too far. The aroma of your t-bone will drift down the valley and send you scurrying back. Evenings are peaceful, with mule deer wandering through camp, or maybe a distant heard of elk edging out of the timber. As the sun sets the lonely call of a lovesick coyote fills the night sky. The hobbled horses nicker back and forth while the night horses are brought in. Nighttime brings an array of stars that can only be seen far away from the lights of town, and will leave you completely amazed. Saturday morning starts early. The horses are jingled in from the meadow, then curried down and saddled. Meanwhile, the coffee is perking, and the bacon is sizzling. There is nothing better then waking up to a new day in a high country meadow. With a hint of dew on the grass, a refreshing breath of cool mountain air and a trip to the creek to wash the night off your face starts you day. After a hearty breakfast, we head leave camp to explore the wilderness with an range of activities to choose from. Some will go fishing and exploring the Silver Jack Mine site, while others will head up the trail and over the pass for a good days horseback ride among the towering peaks of what we call “Little Switzerland”; known for its craggy towering peaks the Matterhorn, and Wetterhorn. Do not forget Uncompahgre Peak, which looms right over camp at 14,309 feet above sea level. 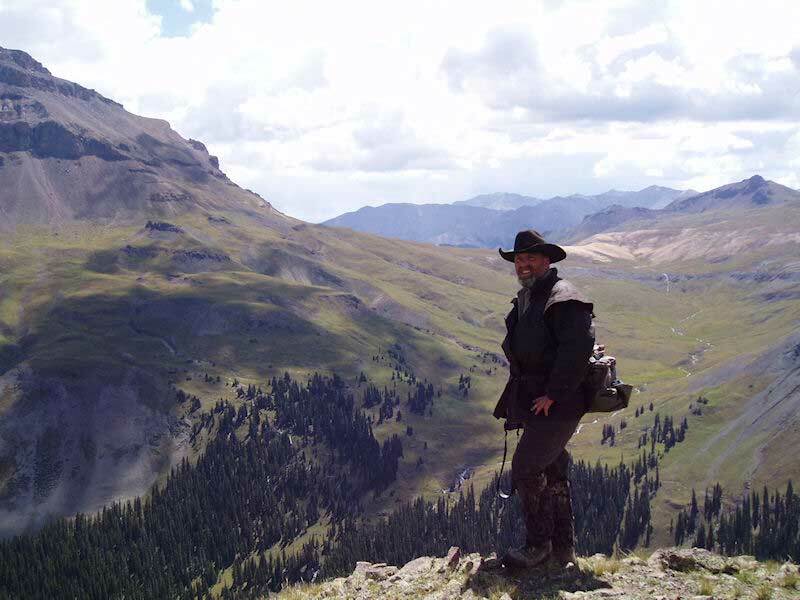 While the fishermen in the group are tightening their lines on native cutthroats and brookies, the horseback riders are watching a herd of elk in the bottom of the next drainage or maybe watching bighorn sheep napping on a precipitous ridge. A sack lunch is served on the trail, usually by a stream or on a mountainside. That is then usually followed by an afternoon siesta. Late in the afternoon, we trail back to camp, and turn the stock out for a well-deserved rest. Our return finds the cook busy with supper; barbequed spare ribs tonight. The evening filled with talk of the day’s events. The campfire feels good and stories are even better as time goes on, but after the eventful day, most are ready to crawl deep inside their bags and let the babbling creek lull them to sleep. Sunday is pack out day; some go for an early morning ride while others are content to enjoy their coffee and the scenery. 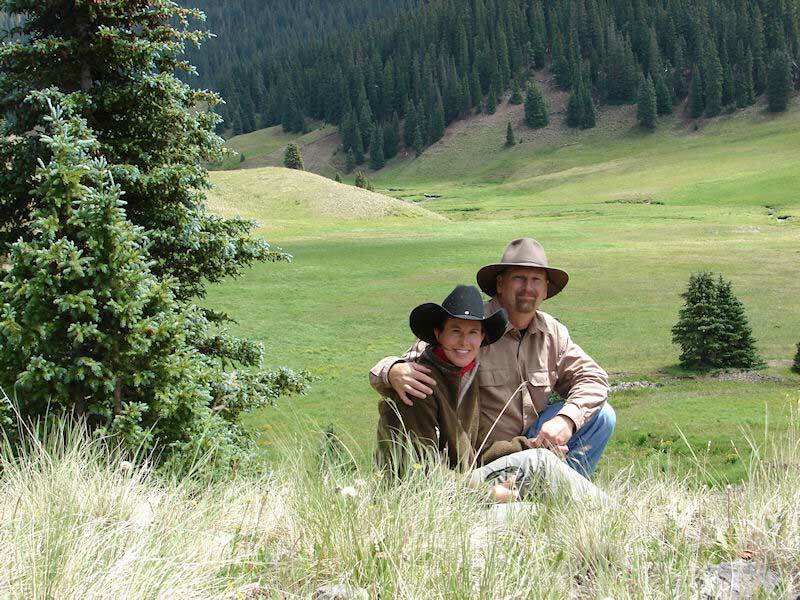 After another home cooked breakfast, we pack the horses and head back to civilization, with memories that can only be made with Action Adventures in the remote Colorado Wilderness.